Taza Chocolate is located in Somerville, MA. Taza is the only maker of 100% stone ground chocolate in the United States, and they're right down the street from our warehouse! They source organically grown cacao beans directly from small farmer coops, and they ensure those farmers receive more than fair trade prices for their high quality cacao. They now have a factory store and scheduled factory tours, be sure to stop by one day and check out their operation. 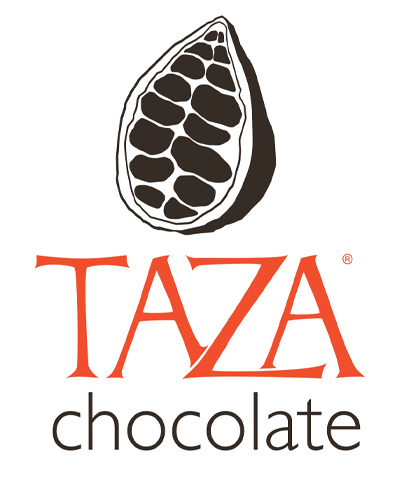 Allergen and Facilities Information: In addition to their Direct Trade Cacao Certification, Taza Chocolate is also USDA Certified Organic, Certified Gluten Free, GMO-free and Kosher Pareve. Taza Chocolate is also dairy free, soy free and vegan.